After having a rest in the morning, Nathela went for an afternoon stroll. It was then that she saw a crowd full of men and women of any age, circling a storyteller. Nathela missed the beginning of the story but joined the crowd nevertheless. “He is not an ordinary Mufti,” the storyteller said fervently. “Other Muftis teach you religion, but he does more than that. He speaks with wisdom and composes poetry. He alone is their wages and hire for service. ’tis not love; ’tis an idle passion. Dirham and dinar were thrown to the storyteller and people were clapping; the storyteller was smiling triumphantly. There’s always a message in your stories. I find this one highly exceptional! Thanks for sharing. consumes everything else but The Beloved”! Mā shāʼ Allāh dear Subhan! A lovely story, my story telling friend! Will you be publishing The Disciple in ebook format? That’s great, when will The Disciple be ready ? Jalal u din Rumi was such a great man, I’ve never seen any person wiser than him. Beautiful post Subhan the story is perfect ! Love returns it’s blessings. 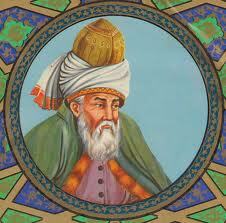 I’m delighted to dance in the glory of love with you and Rumi. Thanks Subhan! Wow, another Rumi- like ode by you. Will you be my personal muse as Shams was to Rumi? Though I am not as skilled at this style of poetry, I love them, and you inspire me to write more. Yours are beautiful. Thanks Subhan, you have a gift. I will explore more of your poems. I’m already a subscriber, but it sounds like you post more on Facebook. As to the personal muse, thanks, I was mostly playing, though I do hope to allow more poetry to flow, and yours inspire me. Thanks much my dear poet muse. I love your post,it’s wonderful Subhan,thank you.